Australian Veteran Pacer, Brett Lee who recently retired from Test Cricket and just recovered from an injury has been chosen in the T20 World Cup Squad coming up after the IPL in West Indies. Along with him, Micheal Hussey too has been chosen in the squad. But, Adam Voges and Shaun Marsh have not been included. Lee selection was a surprise ahead of the emerging pacer Ryan Harris. While Brett Lee hasn’t played the amount of cricket we would’ve liked him to in preparation for this World Cup, at his best he is one of the best Twenty20 cricketers in the world. If there was a batsman who could heavily be relied upon after Rahul Dravid, it was Gautam Gambhir. He cannot hit far but can stay long. He delivered what was required after the fall of the trio power- Sehwag, Dilshan and AB. The start got both some runs and Delhiites got breakthroughs. Dirk Nannes and Farveez Mahroof kept troubling the Punjabi guys. The stadium was roaring and with banners saying ” Mind says Delhi but Heart says Punjab”. From the starting itself the Daredevils had a edge over the Kings. Mahroof got a doubler in the last over of the powerplay when Skipper Sangakkara and Yuvraj could not capitalize from their starts but had a long hop to the hut. Next ball, Jayawardene had a golden duck and a long walk back to the dug out. With, 4 Kings back in the hut and not even fifty up on the board, it was the duty of Ravi Singh Bopara and Irafan Pathan to do the Rebuilding the score. They went on to do so, with a cautious approach and had over a fifty partnership. The team had a hundred in the 13th over. So, above 160 looked easy until the blunder Irfan Pathan did got stumped. Wickets started tumbling for the Punjabi fellows. There was nothing that Bopara could do but he too got out. But, Sreesanth didn’t leave it off, he started to slog every ball. At the end of 20 overs, KXIP managed 142 runs. Everyone would have thought it would be an easy going for the fiery Daredevils with Explosive Sehwag at the top. But, Sreesanth did not let it happen. For Delhi’s horror, both big bucks Sehwag and Dilshan were back in the hut in the same over. Now, it was the responsibility of Gambhir and AB de Villers to rebuild the innings. Gambhir, the skipper of DD was scoring with a cautious intent in one side. On the other end, AB was struggling and for DD’s and his luck he fell short of the crease and was run out. Gambhir would have told the same to Dinesh Karthik who came in fall of AB, just be calm and don’t get out. Karthik gave a good support to Gambhir but soon when Yusuf Abdulla was introduced, he struck his first wicket of IPL removing Karthik. Gambhir had lost another partner in the process. Soon, Mithun Manhas came in to support Gambhir who scored his fifty and led the team to a hundred. Mitts too was striking the ball well and reduced the pressure from Gauti’s shoulders. The fifty partnership was on between Gauti and Mitts. At last, with one ball remaining Gautam Gambhir led the team to a tight victory. Match was pure cliff hanger. Good bye kaha diya Knightriders ke superman ko. Shocked kar diya Mumbai ke tuphaan ko. Kyunki badla lene aa rahe hein dhurandhar Dhoni bhai. Comparing the glamour factor, Kings XI Punjab (KXIP) is one of the best teams in the IPL with the bubbly Preity Zinta as its co-owner along with Ness Wadia. With Yuvraj, Sangakara and Jayawardene in the batting line up and bowlers like Brett Lee, Irfan Pathan and Sreesanth, aggression is the other name of the team. Team had to be disappointed in the 1st season as it failed to move beyond the semifinal level. In 2009, when the IPL moved to South Africa, the power packed side faltered before the semifinal stage. The failure can be attributed to the absence of the pace spearhead Brett Lee. Yuvraj Singh was also not consistent though he got 2 hat-tricks in the IPL 2. The only find for the team was Yusuf Abdullah, whom the team bought again this year. Luke Pomersbach and Nuwan Kulasekara were bought ahead of the 2010 auction while they picked former India batsman Mohammed Kaif who is expected to recreate the magic with Yuvraj Singh in the Punjab side under new captain Kumar Sangakkara. Yuvraj Singh: When he is on song, there is no sight as majestic in the cricketing world. He will be keen to perform and score good amount of runs as it will be the 1st tournament after his recovery from injury. The man with records like fastest 50 in T20 interntionals, 6 sixes in an over in ODIs, will be the most dangerous man for the opponents. Kumara Sangakara: Probably, he is one of the best in his field when it comes to technique. He will try to prove his mettle after being appointed as the captain of the side. Adding to his unparallel batting techniques, he is a great player to have in the side for his work behind the stumps. Mahela Jayawardene: The middle order batsman of the Sri Lankan side will be the anchor of the KXIP middle order. His skills to play elegant shots make it tough for the opponent bowlers to get him out. His precision in shot selection and placement is beyond comparison. 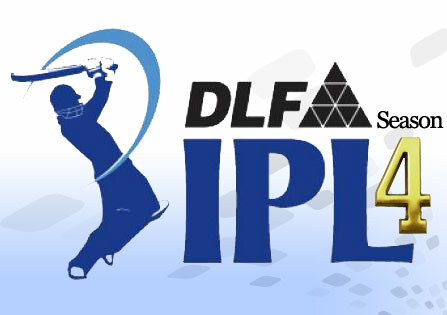 Irfan Pathan: As IPL returns to India, Irfan will be more lethal than the last edition. Irfan has got impressive records in the Indian conditions. His swing can put even the best batsmen in trouble. His pinch hitting abilities makes him the perfect bowling allrounder for the team. Yusuf Abdulla: 27 year old medium pacer from South Africa impressed all with his bowling in the IPL 2. The team bought him back this year when his 1 year contract ended. His strength is to vary the pace and the angle of deliveries. Opponent batsmen must be aware!